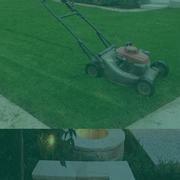 Cleaning services, lawn services, garden services ads in Townsville. Thank you for visiting our free advertising website Cleaning services, lawn services, garden services, Townsville section. We provide high response free classifieds and free advertisement. Use our online free Cleaning services, lawn services, garden services classifieds placement system to find, list, offer Cleaning services, lawn services, garden services online! jims pool care providing a services for pool servicing, equipment repair and servicing, commercial pools, pool safety, pool building etc. http://www.jimspoolcare.com.au/. Bond Cleans: Guaranteed to pass strict real estate standards or will return if required. Prices: 4 bedroom house - inside and outside - from $565 3 bedroom house/unit - inside and outside - from $490 2 bedroom house/unit - inside and outside - from $280 Standard yard mowed and whipper snipped - grass clippings removed - from $45 Garden trimming and weeding - priced after inspection Note: Cleaning prices do not include yard. Regular or one-off service. $25 per hour - minimum 2 hours. Servicing Townsville homes and business for over 20 years. Cleaning, tidying, washing, ironing and more to bring your home back to sparkling clean. Call for a free quote today 0431216640. 2008 Dual Axle Enclosed Lockable Trailer Regd. with 2 Sets of Ramps 2010 42" 24hp Craftsman Ride-on with Catcher 2010 2 x Honda 4 Stroke S/S Whippersnippers 2010 Brushcutter HedgeTrimmer 2009 Makita 4 Stroke Blower Vac All equipment serviced and maintained with records. The Cleaning Fairy - We will vanish your cleaning worries away! We offer bond/vacate cleans, housekeeping, maintenance and rubbish removal. Please visit our website for a full list of services, packages and fees. Www.thecleaningfairyandtherubbishman.com. Townsville Cleaning, Handyman & Lawn Mowing Services..7 Days! Townsville Cleaning and Maintenance Services specialise in the whole home and business. Our services include weekly home cleaning, end of lease/bond return cleans, spring cleaning, commercial cleaning, handyman and maintenance repairs, and all aspects of gardening and lawn mowing services. We pride ourselves on our detailed and professional finish and offer a range of packages to suit our clients individual needs. Australia free ads for Cleaning services, lawn services, garden services, Townsville, Cleaning services, lawn services, garden services free ads Townsville, Cleaning services, lawn services, garden services for sale Townsville, Cleaning services, lawn services, garden services to buy in Townsville. Find on this page free classifieds for Cleaning services, lawn services, garden services in Townsville. This listing includes classifieds for sale and to buy in Townsville. FREEADSAustralia Townsville offers you a platform to post free advertisements or classifieds for Cleaning services, lawn services, garden services in Townsville. FREEADSAustralia helps you search, find buy, sell, rent or hire in various categories like apartments, goods for sale, local services, cars , jobs and many more in Townsville. If you posted an advertisement in category Cleaning services, lawn services, garden services of FREEADSAustralia Townsville before please use Edit my ads button to change or cancel your ad. Cleaning services, lawn services, garden services Townsville ads Townsville, Cleaning services, lawn services, garden services classifieds Townsville, Cleaning services, lawn services, garden services free ads Townsville, ads for sale Townsville, ads to buy Townsville, FREEADSAustralia. Find here ads for sale, to buy and rent in Townsville. Goods for sale in Townsville, vehicles for sale in Townsville, Townsville real estate for sale, Townsville property for sale, property for rent in Townsville, business ads in Townsville, Townsville business classifieds, services in Townsville, Townsville services ads, jobs in Townsville, pets for sale in Townsville, Townsville dating, Townsville cars for sale.